The NAMI MetroWest Annual Meeting will be held on November 30, 2018, from 5:30 PM to 7:30PM at Employment Options 82 Brigham Street, Marlborough MA 01752. 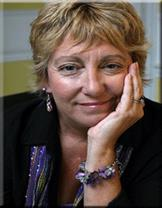 The guest speaker will be Judy Giovangelo, Founder and President of Ben Speaks. Preregistration required. Register: or call 508 251 9595. Judy started Ben Speaks in 2010 after the death of her son, Ben to suicide. She was determined to start a foundation to support struggling teens and their families in the community. Judy continues to facilitate all Ben Speaks pro-grams. She has been a teacher and healer for many years through her company, Grow You Healing & Art Center. She is a certified yoga instructor, Yoga Kids & workshop facilitator, Reiki master, sound, intuitive healer and hypnotherapist. Judy is also a recognized speaker for her Power of Choice presentation. Standing ovations from middle/high school students, along with community groups is a clear indicator that her message is reaching the hearts and minds of our youth. Judy was honored in 2013 with the Be The Change award at the 9th Annual Massachusetts Women’s Conference and A Hero Among Us award from the Boston Celtics for her work. Her exemplary community efforts have helped families, schools and local businesses thrive and survive.